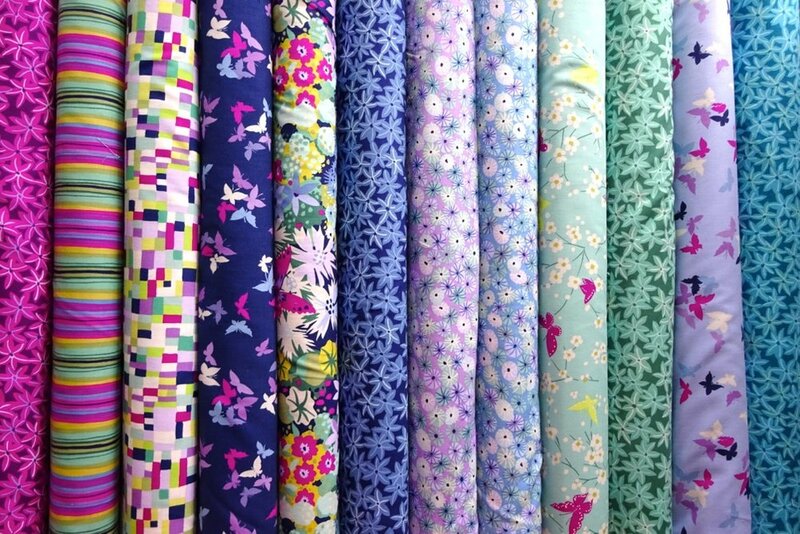 An ongoing relationship with the US fabric company, who specialise in producing lovely cotton fabric for home sewing. We've just published our third collection, Sandpipers, and the fourth is in the pipeline. One of the most successful and distinguished homewares stores in the US, we've worked together for four years now, and between us continue to produce many designs on fabrics, rugs, bedding, boxes, tables, ceramics and wall art. Our first collaboration with the UK giftware company is Viva, a collection of designs for porcelain ceramics, bamboo fibre trays and table-ware beautifully made, styled and packaged. We've just completed our third collection for this imaginative womenswear company in Beijing. We've worked together on several projects, notably the beautiful and meticulous fabric dolls made with our Michael Miller Fabrics, and the special edition stitched using our vintage Liberty fabrics. Anna has developed a project photographing fashion from our fabulous archive. I was invited by Michael to join him in an evening of glass-blowing in his South London studio; enjoying colour was our starting point. We supplied habitat with many many yards of designs and cloth in the '70s, '80s and '90s. So when it came to their 50th anniversary they invited Sarah to join a group of their distinguished designers to each make a special celebratory design. Ours was this rug 'Fifty Leaves' – one for each year. We have worked with the proprietor of this smart South London interiors shop on several projects including hand-painting the windows for special occasions! Local to our studio, The Scarf Gallery invited Sarah to make and show a selection of unique hand-painted silk scarves for their opening exhibition. We made a collection of paintings for birthday and greetings cards for this well-known UK stationery company. A little on-line project to make something fun and papery for Christmas! From special exhibitions, talks, workshops, and a vibrant presence in their shop we have an ongoing friendship with this important London textile museum.